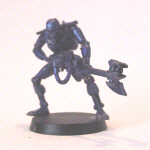 This article is about how I painted my necron warriors. 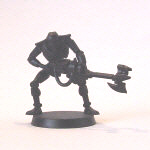 Assemble your necrons and undercoat with black spraypaint. 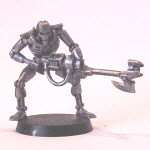 Heavily drybrush your necrons with boltgun metal paint. Give your necrons a wash of Blue Ink. 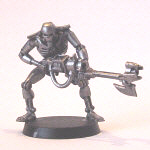 Drybrush your necrons with boltgun metal paint. 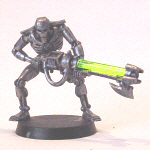 Spray your necrons with Matt Varnish to protect them. Insert the green rod into any weapons.